Somewhat chilly weather by Arizona standards greeted Mariners' pitchers and catchers as they reported for their mandatory physicals. 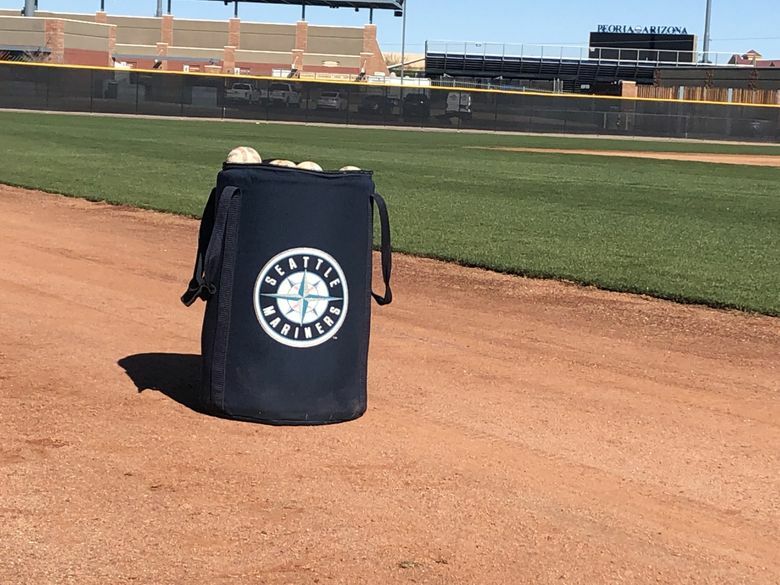 PEORIA, Ariz. — A handful of fans meandered in the open area of the Mariners’ spring training complex between fields, watching a large group of minor-league position players working on defense. Outfielders shagged fly balls, infielders worked on double plays and catchers practiced pitch-framing in the bullpen area. The Mariners have had a group of 50-plus minor-leaguers working out almost daily for the past three weeks as part of a minicamp. The sun was out, and the sky was cloudless. But the 20 or so fans were all wearing coats or sweatshirts. Perhaps only one was wearing shorts. They got no glimpses of major-leaguers Felix Hernandez, Yusei Kikuchi or Marco Gonzales. “It’s cold out here,” one fan muttered to another. “It’s the wind,” another said. While there is a romance to the pitchers-and-catchers report date, which is often cited on gray, gloomy days in January, the actual day is largely uneventful. The pitchers and catchers that are invited to spring training, show up, take the Mariners’ exhaustive and extensive physical — the vicious cardiac stress test is no longer used — and then go home for the day. It’s a day that lockers are prepared, boxes of shoes and gear are opened and inspected, and conversations and introductions are the main activity. The real action will be Tuesday morning with the first workout, which starts at 11 a.m. following a morning meeting at 10. There are plenty of new faces in camp. Of the 67 invited players, 32 were not with the organization last season. Throw in the Mariners’ minor leaguers on non-roster invites in their first spring training, and the number of new faces increases. Only 19 players return from last season’s 40-man roster. The Mariners have 34 pitchers in camp under the direction of new pitching coach Paul Davis. Seattle will have seven catchers in camp and could possibly add another in the coming weeks via free agency. Besides Davis, Perry Hill (first base/infield coach), Tim Laker (hitting coach), Jarred Sandberg (MLB field coordinator) are also new to the staff. Position players report Friday for physicals, and the first full-squad workout is Saturday. Servais confirmed that reliever Anthony Swarzak will still be behind most pitchers in their respective throwing programs. Swarzak felt some minor discomfort in some offseason throwing sessions. The Mariners decided to slow his progression.